Filmora Video Editor is a top-rated Mac video editor for users to edit videos, create movies amazing from video clips with pre-made trendy special effects and templates. With this intuitive, easily mastered video editing software, whether video editing beginners or skilled users can make stunning videos like Hollywood made, as you are able to do all the basic editing work such as trimming, merging, cropping etc. , and also advanced editing features, such as video overlay(PIP), multi-screen, Chroma-key etc. 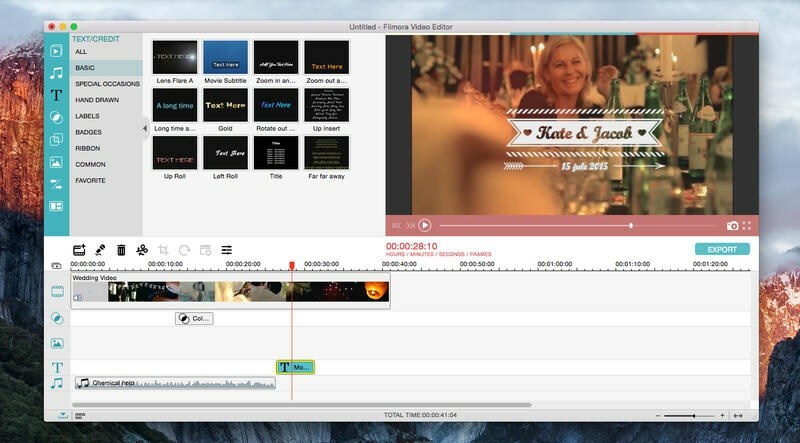 Do basic editings on videos, including cut, merge, trim, rotate, and crop, etc. Enhance movies with pre-made stylish effects, graphic overlays, titles and text, add motion element like your favorite graphics. Create Time-lapse and Fast/Slow-motion video by adjusting the playing speed as you like. Combine multiple videos and images seamlessly with built-in Transitions. Add your own voice-over or background music. Provide a selection of color grading presets. Handle green screen or chroma-key footage in your video projects. Record the screen of your computer and webcam. Burn videos and photos into DVD folder or disc with menus and templates. Convert your videos into other video formats compatible with iPhone 8, Apple TV 1080P, PSP and other devices. 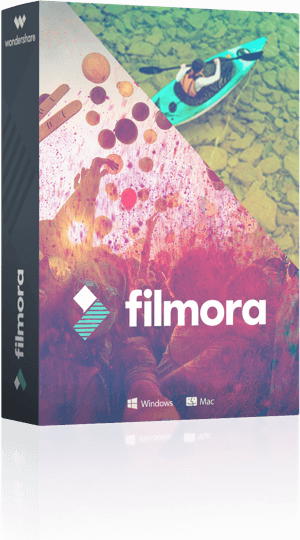 Filmora Video Editor can let you edit videos, create stylish movies easily with smart pre-made themed filters and effects, create DVD from videos and photos with built-in menus and templates by clicks. – Videos: MP4, FLV, AVI, VOB,3GP, ASF, MOV, F4V, M4V, MPG, TS, TRP, M2TS, MTS, TP, DAT, WMV, MKV, DV, MOD, TOD, EVOVideo Formats MP4, FLV, AVI, VOB,3GP, ASF, MOV, F4V, M4V, MPG, TS, TRP, M2TS, MTS, TP, DAT, WMV, MKV, DV, MOD, TOD, EVO. – Audios: AAC, AC3, AIF, AIFF, APE, AU, FLAC, M4A, MKA, MP2, MP3, OGG, WAV, WMA. – Pictures: BMP, JPG, PNG, GIF, TIF, ICO. – Devices: iPhone X, iPhone 8/8 Plus, iPhone 7/Plus, iPhone 6s/6s Plus, iPhone 6, iPod touch, iPad Pro, iPad Air, the new iPad, Apple TV, PSP, Archos Player, Creative Zen Player, Zune. Choose “Create New Movie” and then import your medias including video clips, pictures and musics. Or you could record a video file and then edit it as you like. Add your video clips and pictures to timeline, start your editing. You can trim/Split/Rotate/Crop/Merge Videos easily with the toolbar. Add your filter themes, effects, titles, green color, and overlay clip to your video, to make a stylish movies quickly. Save your video editing project and share. When you save the project(project will be end with .wsve file extension), all the files are combined to create a single video files. You can save the movie as a MP4 or other format video file to be played on a computer or a mobile device, burn your video clips and photos to a DVD disc, or upload it directly to a YouTube, Facebook or Vimeo account. Note: if you are using a free trial, the output video/DVD file will be watermarked, so you could save your video editings into a .wsve project file first, when you purchased it, you can go back and open the project file in Filmora Video Editor, and then export your works without watermark now. 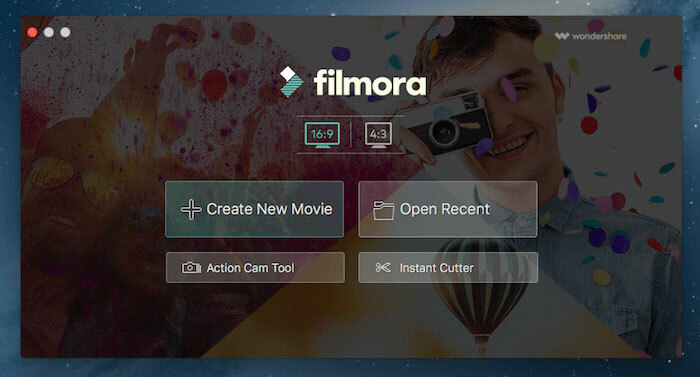 Filmora Video Editor for Mac is the top-rated intuitive video editor can let you edit videos, create amazing movies with smart themes and effects in quick and easy steps. It offers online technical support, and you also could get help in video editing community. Filmora Video Editor for Mac also have free tutorials and knowledgebase & FAQs on its official website.